Don’t get us wrong, sharing a meal with a loved one is one of food’s greatest joys – but we’re not always in the mood to share. Don’t let the love birds get you down this Valentine’s Day. Far from the scourge of the lonely, dining solo is actually one of the best ways to experience London’s food culture, bringing with it all sorts of perks and possibilities. Forget pandering to your friend’s food preferences, waiting hours for a table and, God forbid, talking – eating alone often means you can order what you want, skip the queues and simply enjoy your own time to breathe in one of the busiest cities on the planet. There are also restaurants across London that don’t just make this easy to do, but positively welcome solo diners, with all sorts of tips and tricks to make it the best night out of your week. From tapas bars to Michelin-starred restaurants, these are the best spots for dining alone in the capital. For solo diners, bar seating is key. Propped up on a stool, you needn’t even look at other diners if you don’t want to – but if you’re feeling sociable, chefs or bar staff are equally close at hand for a chat. The pastel surroundings of Lina Stores are a perfect spot to do so, with a prime view of the kitchen and the fresh-as-you-like pasta production. There are even single bar stools available al fresco at the shopfront window sill – ideal for warmer evenings spent with a £6 pasta portion and a very decent negroni. 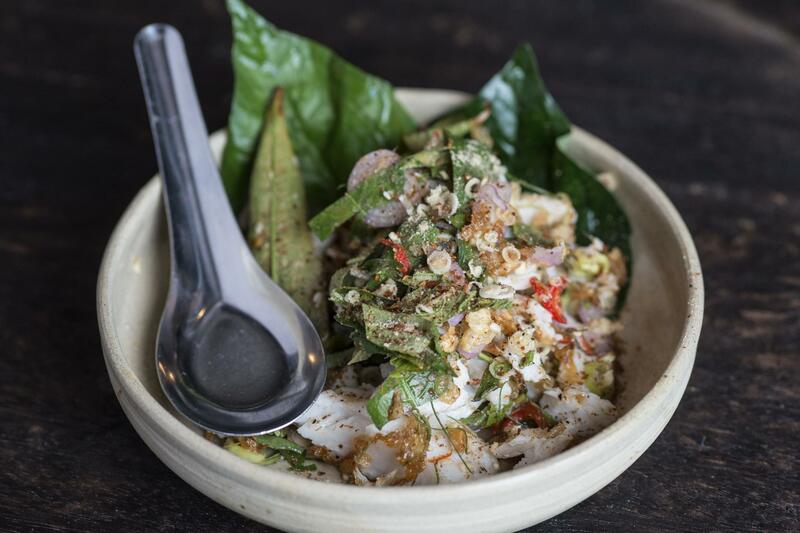 Soho Thai hotspot Kiln was hailed as the best restaurant in the country at the National Restaurant Awards in 2018, so it’s hardly a surprise that you’ll likely need to wait for a table. Those on their own, however, have an advantage – front of house staff tell us they always try to leave room for one at the bar. Filling a solo spot means you can skip the queue past couple after couple, and tuck into their array of flavour-packed small plates and curries next to the roaring grill. Taiwanese restaurant Xu, from the team behind Bao, goes one further than the solo bar stool – the seating arrangement sports tables designed for one diner and one diner only. In the 1930s-esque surrounds, these compact booths sport a luxurious leather banquette with no seat on the other side of the table. 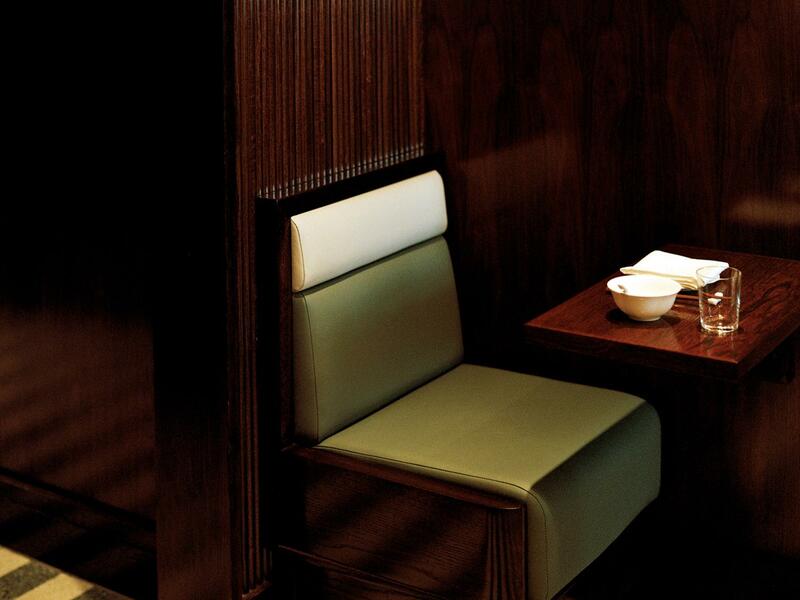 Diners are wrapped up neatly and cosily in the mahogany surroundings, thanks to a wooden screen between tables. If you can’t get such a coveted spot, there is also bar seating with a comfortable amount of space between you and the next elevated chair. Order the Old Red Jade to drink, and settle in with the Peking duck pancakes. Some dine out so they can meet with friends – others meet with friends so that they can dine out. At Kitchen Table, skip the company and indulge in a full-on foodie experience without any distractions. 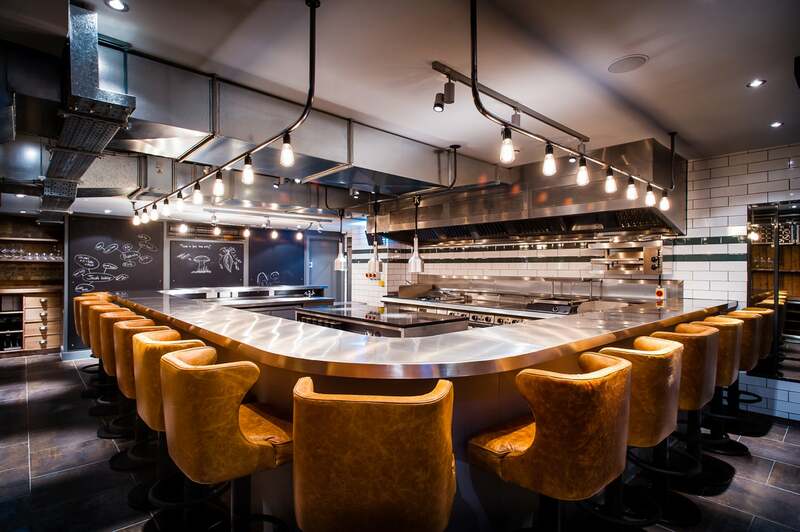 At the two Michelin-starred restaurant, chef James Knappett talks his audience of 20 diners through the daily changing menu, while he and his skilled chefs cook it under your nose. If you want to chat, fellow diners are usually as food-obsessed as you are, and the chefs are intermittently free to answer questions. London’s love affair with sharing plates continues – but we all know that sharing is overrated. These dishes can be the nemeses of those dining alone, designed around single bites rather than being eaten in their entirety. That’s where ramen steps in gallantly: a full bowl of balanced out goodness that is part carb, part veg, part protein and all comfort. 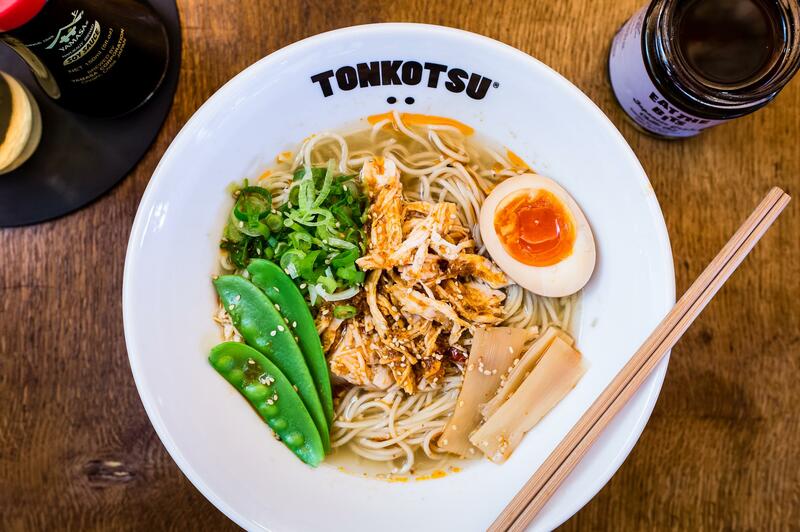 Tonkotsu’s are some of the best in the capital and invariably have pleasant surroundings attached to them. With more and more popping up in the capital, you’re unlikely to be too far away from one. The queues for “no reservations” sensation Bao border on notoriety. The reason for the crowds at the Soho location is partly because it sells the fluffiest buns in London, and partly because the site is as miniscule as it is popular. It’s well designed for solo diners – in fact it’s nigh on impossible to seat a party of more than four. 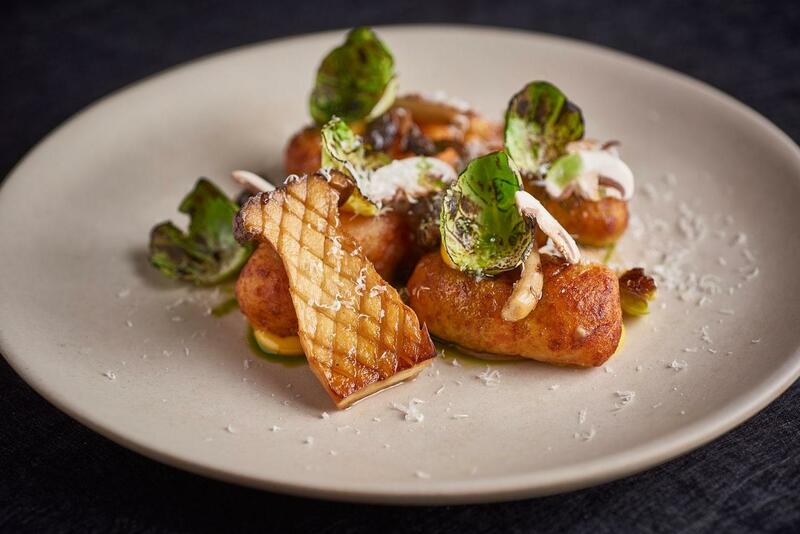 The menu may be small plates, but they’re not for sharing: each bun is fully formed, fabulous and it’s easy to estimate how many you’ll need to feel full (thus avoiding the regret that comes with over-ordering). 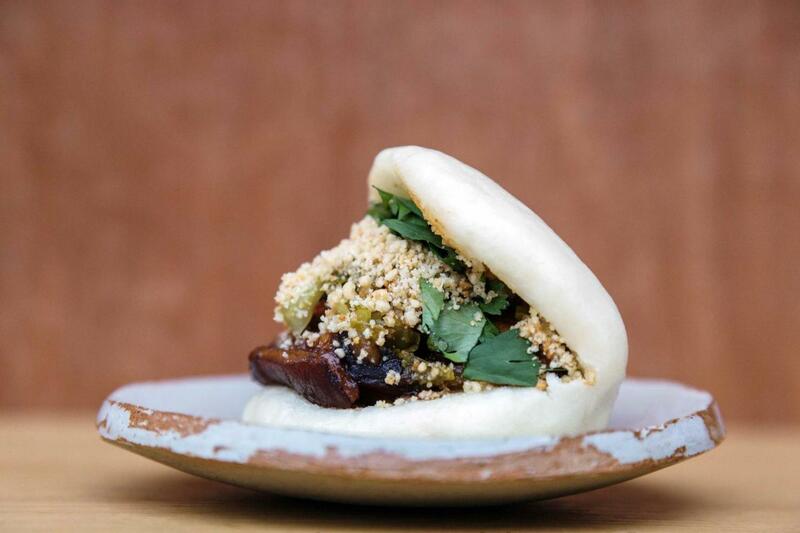 Besides, the opening of Bao’s Fitzrovia location means the queues aren’t quite so long anymore. You may not feel like talking to people today, but that doesn’t mean you can’t watch them. Perennially popular pasta shop Padella usually comes with a queue, but once inside, a seat at the window comes with excellent people-watching fodder. 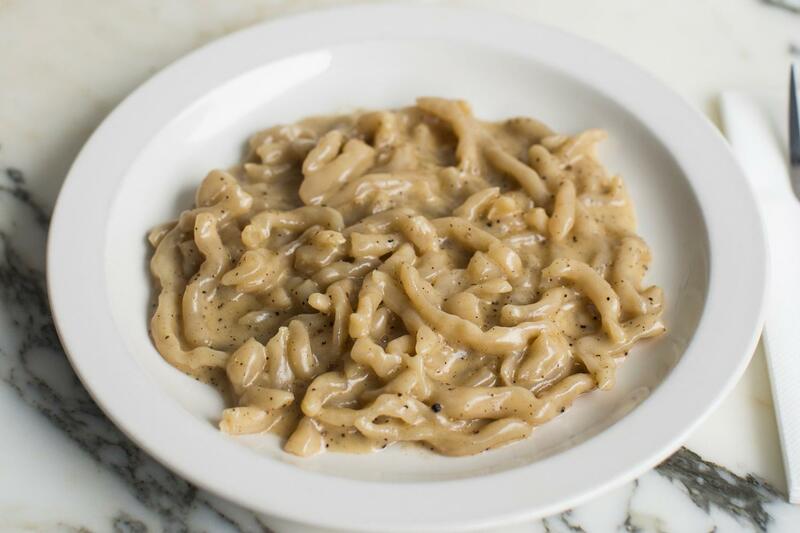 Looking out onto the hustle and bustle of Borough is invariably intriguing, and watching queue-dwellers will inevitably leave you smug that you’re eating pici cacio e pepe and they aren’t. Pasta is a perfect dish for one, and the dishes are so cheap, you can stay for two and still spend little more than a tenner. For reluctant solo diners, tip top hospitality is key in easing the situation. 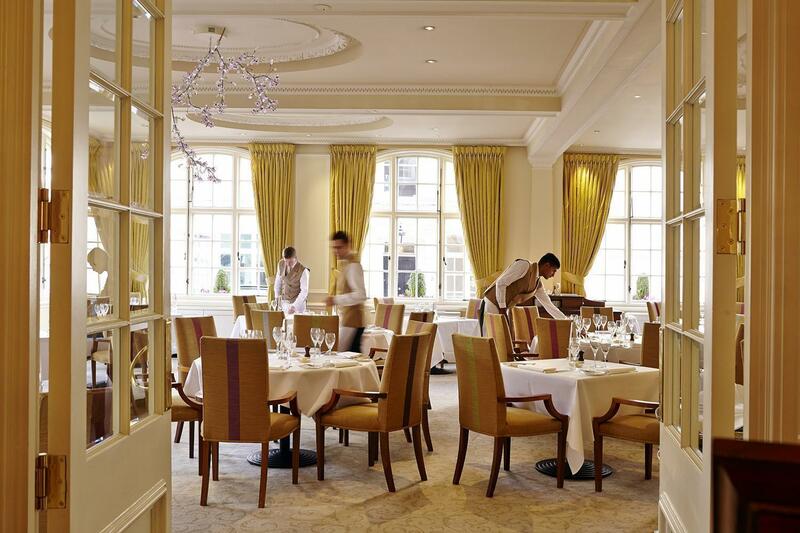 Hotel restaurants are well-equipped for such an eventuality, and the attentive staff of The Dining Room at The Goring do an even better job than most. Eating Michelin-starred food in a restaurant literally fit for the Queen – she is known to be a genuine fan and visitor – makes for a mercifully relaxing experience in The Dining Room’s skilled hands. Go on, treat yourself. Some say tapas was made for convivial dinners over a bottle of Iberian red – to Spanish city dwellers, tapas also serves the lone diner propping up the bar at the mercado. 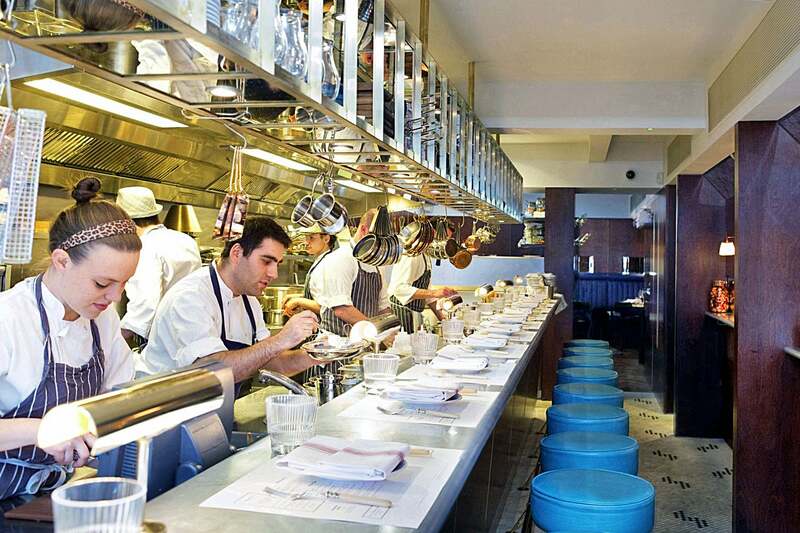 Barrafina has earned a stellar reputation for doing both at its original Soho site, where a red bar stool is just as fine a seat as any. 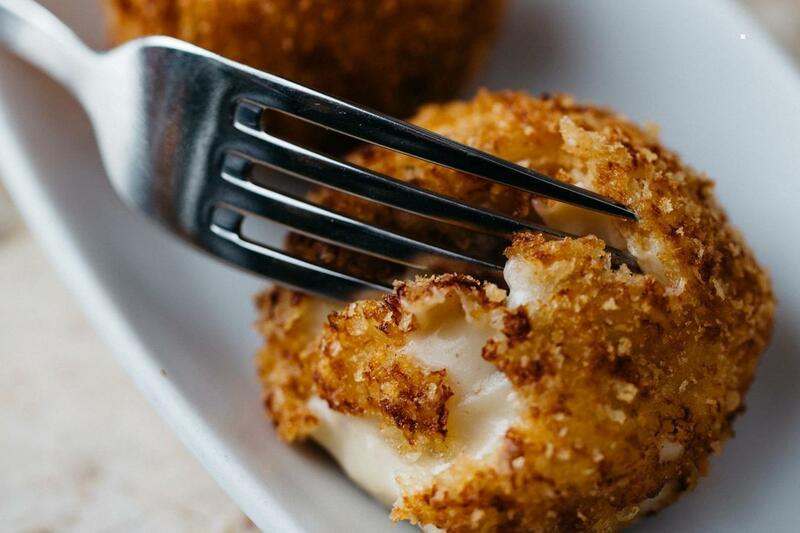 The food is simply too good to share here anyway – dining with a friend inevitably leads to fisticuffs for the last ham croqueta. Keep your friends and dine alone. Sometimes, solo diners are beset by the quiet fear that everyone is watching them, wondering why they’re such a loser. For those more predisposed to such a feeling, the key is to get lost. At Korean street food joints On The Bab, the surroundings are pleasantly clattery enough to go unnoticed in, and the vibe is uber casual. 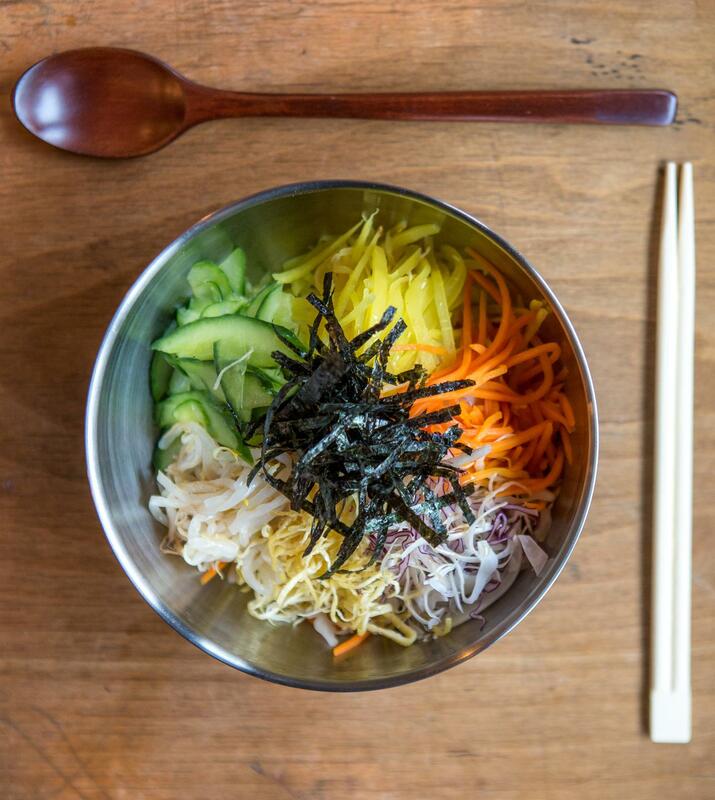 The food is a cultural step-up from burgers et al – newbies to Korean fast food will get an introduction to yangyum fried chicken and hearty bowls of bibimbap. Polpo founder Russell Norman is such a fan of solo dining that he has designed each of the Italian cicchetti bar’s sites to be deliberately equipped for it. 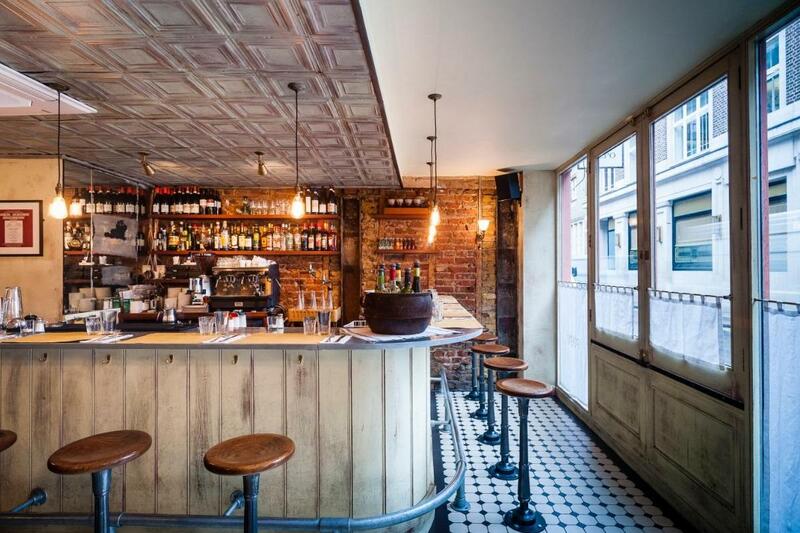 Every one of them has a bar – each well stocked with Campari, importantly – which are ready and waiting to accommodate single customers amid a convivial atmosphere. The dishes are meant for sharing, yes, but three can easily be brought together into a meal for one: it just means you can have a mini pizza, arancini and a radicchio salad all to yourself. There’s only one thing better than attentive front of house staff – getting an attentive chef with it. At Adam Handling’s Covent Garden flagship restaurant, it’s all about the personal touch, with chefs leaving the kitchen every evening to talk to the diners about the food being served. The restaurant prides itself on its ingredients, which are sought as sustainably as possible, so feel free to ask all about the background to your dish. The immediate success of The Palomar really put counter culture on London’s dining map – because, quite frankly, the bar seats are the best in the house. Here, you don’t want to sit in the proper dining room at the back, but with your nose to the action of the open kitchen, sucking up the smells of Jerusalem at the Mediterranean-meets-Levant-meets-North-African restaurant. Solo diners will relish these seats as they are so coveted. The acclaimed sister restaurants that have followed it – The Barbary and Evelyn’s Table at The Blue Posts – have similar setups.